I believe that is important to recognize the power of 3D and how it will impact the future visual publication, all the adobe graphic programs now come with the 3D feature, therefore its not necessary to learn complex programs such as Maya, 3D Max or Cinema4D. The Starbucks logo was created by Terry Heckler of Heckler Associates, it portrays an image of a crowned mermaid, with a star above her head. The negative space bring out the words and the mermaid forward. The logo uses only two colors, it is simple and yet powerful. The Starbucks logo is widely recognized because of its simple success. Apple identity is probably one of the most recognized logos, the design of the logo is clean, creative and simple. The logo dose not hold any words, but is known for it to be Macintosh. The elegant design of their logo helps reflect the success of their company and shows professional structure with in their system. 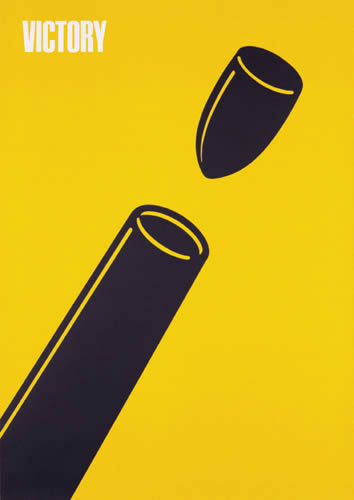 Shigeo Fukuda was a talnted illustrator who managed to show minimal graphical use, but the outcome was clear and straight to the point. After Looking at all the poster, i decided that Emek has a great sense of telling information through his work. The one which got my attention was R.I.b.p poster, it was perfectly composed and send a straight forward message. The Grateful Dead Poster which i thought was magnificent, having the eye be the center of the focal point and then all the information is inside the eye.